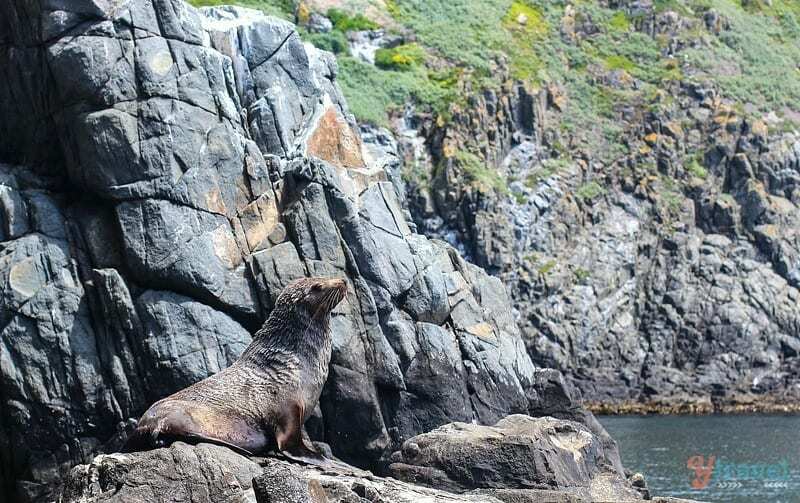 I wanted to visit Bruny Island off the southeast coast of Tasmania as soon as I’d heard it was the ultimate wilderness experience to have in Tasmania. 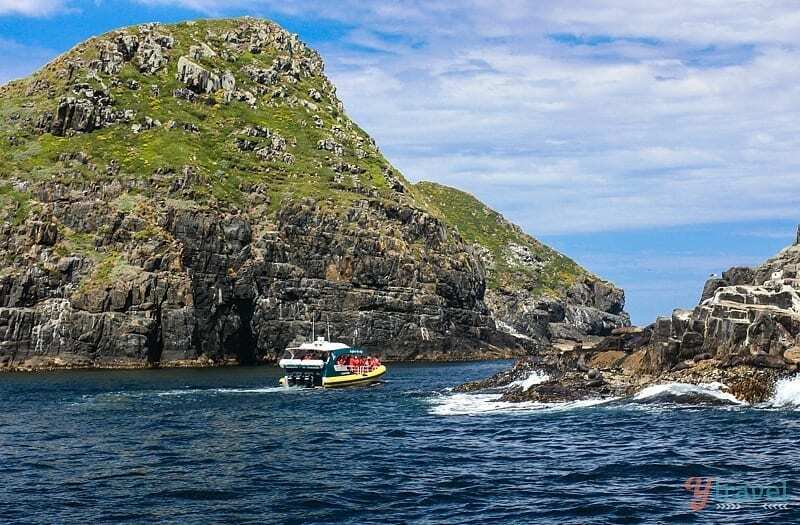 After hearing about Caz’s previous cruise with local legend Rob Pennicott from Pennicott Wilderness Journeys, we were hoping to have Rob as our guide again exploring Bruny Island. Caz said Rob reminded her of Steve Irwin; passionate about nature, enthusiastic and quick with a joke. 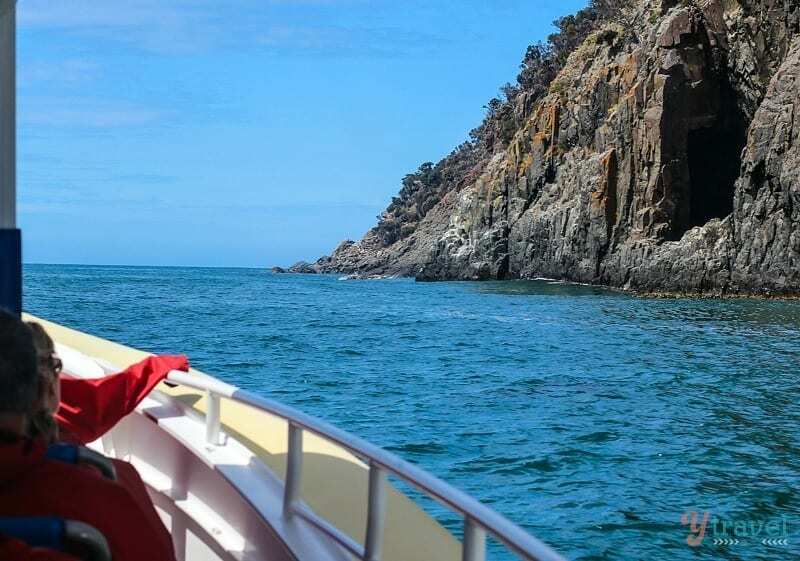 He started Pennicott Wilderness Journeys as a small family business in 1999, running cruises along the Tasman coastline, and now boasts a staff of over 70 people. Rob Pennicott has won numerous awards because of their world-class service and sustainable coastal wilderness experiences. So we made plans to jump on a three-hour eco-adventure cruise with Rob’s company. 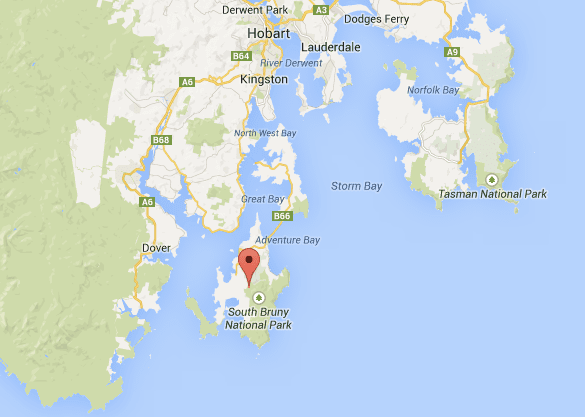 Bruny Island is an easy day trip from Hobart. 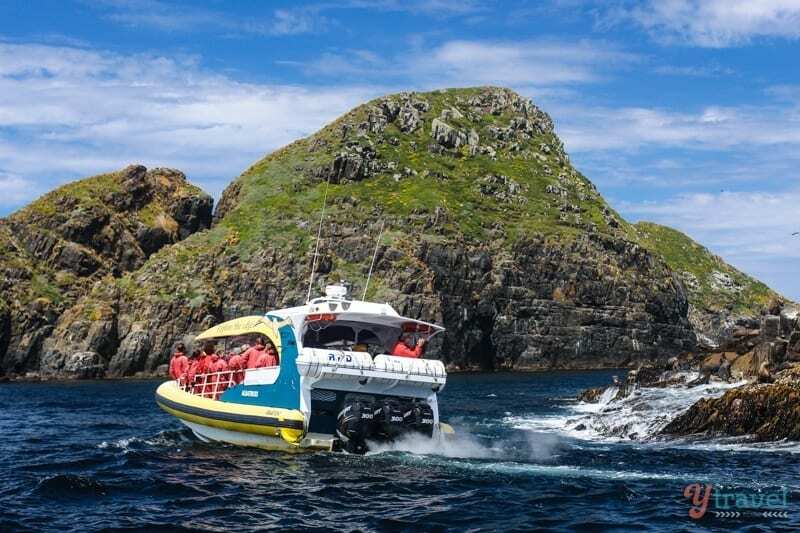 You can jump on a tour or self-drive to Bruny Island like we did and catch the vehicle ferry over from Kettering. The 3-hour adventure cruise starts at the aptly named Adventure Bay, and whilst we weren’t having Rob as our guide today we soon learned that his personality shines through on all his staff, they obviously love what they do, and they were just as excited as we were. 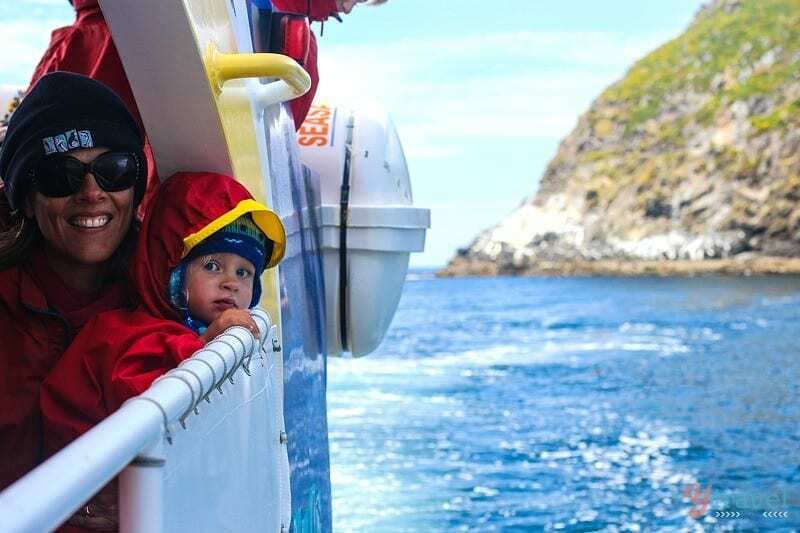 We boarded the custom designed boats, nicknamed the yellow boats, which were built for eco-cruising in the ever-changing waters of South East Tasmania, and were put through a quick safety briefing, with humour. 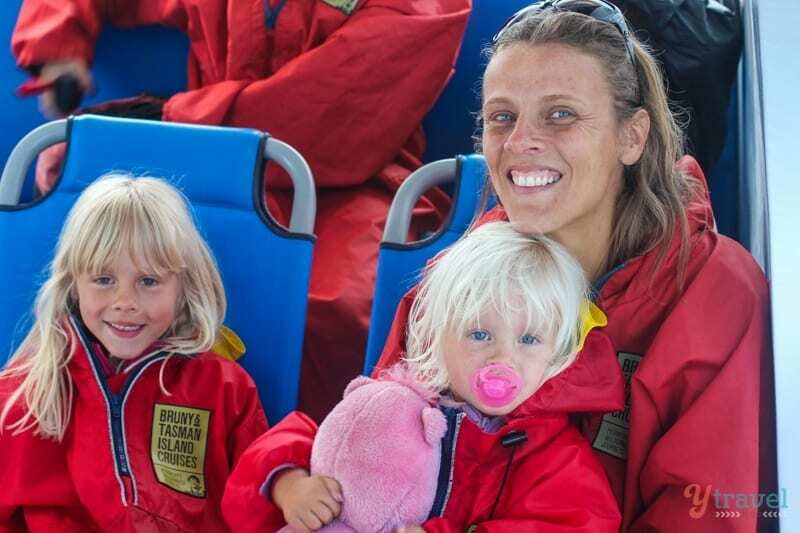 Our kids were made feel safe being fitted with life jackets, and we grabbed a seat at the back of the boat which appeared to have the best viewing options, but we soon discovered the open-air tiered seating gives each passenger an excellent all-round view. We were all set, camera in hand, and had been blessed with a sunny day (which can be hard to come by in Tasmania.) 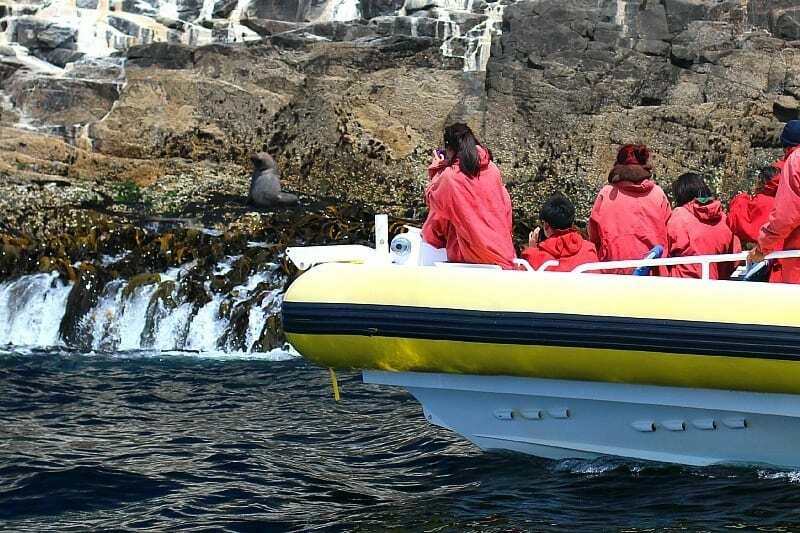 We took off in our yellow boat to explore the rugged coastline and search for wildlife. I anticipated it was going to be good, but it was AWESOME! The boats are designed to be highly manoeuvrable and allow the skippers to get up close and personal. 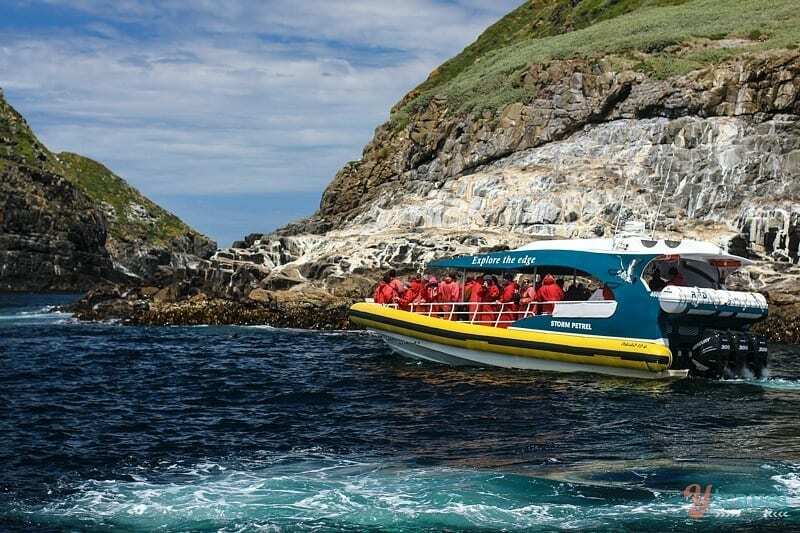 On one manoeuvre, we sped between a narrow opening in two huge rock formations which I, and the kids loved, and being the nice tour guides that they were, turned around for a second go and to watch the following boats for an action shot. 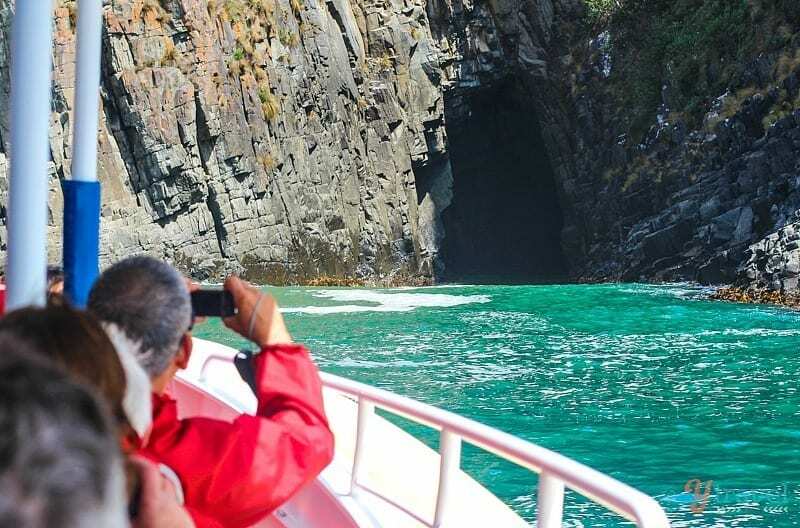 Our yellow boat took us into some dramatic deep sea caves scattered along the coastline and right up close to the towering Jurassic Dolerite cliffs and natural rock formations, with some cliffs being over 200 metres above sea level. I was taking photos like crazy and the colours and rock formations were fantastic. 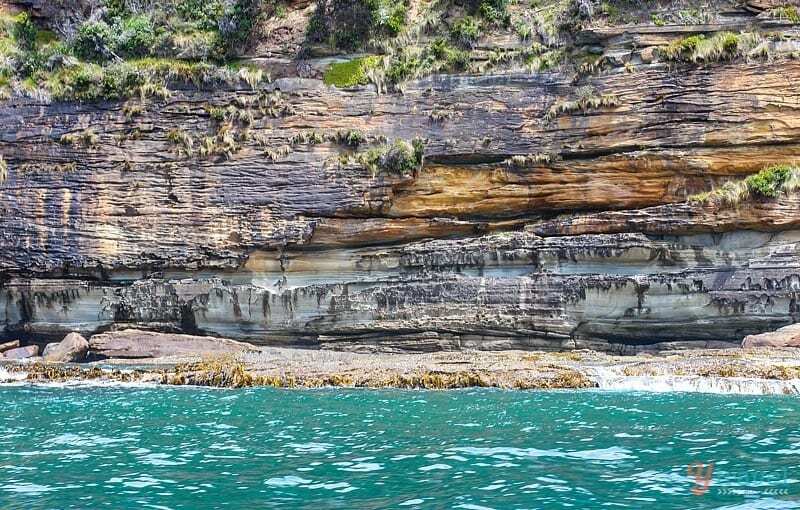 But Bruny Island is not just about rock formations and sea caves. 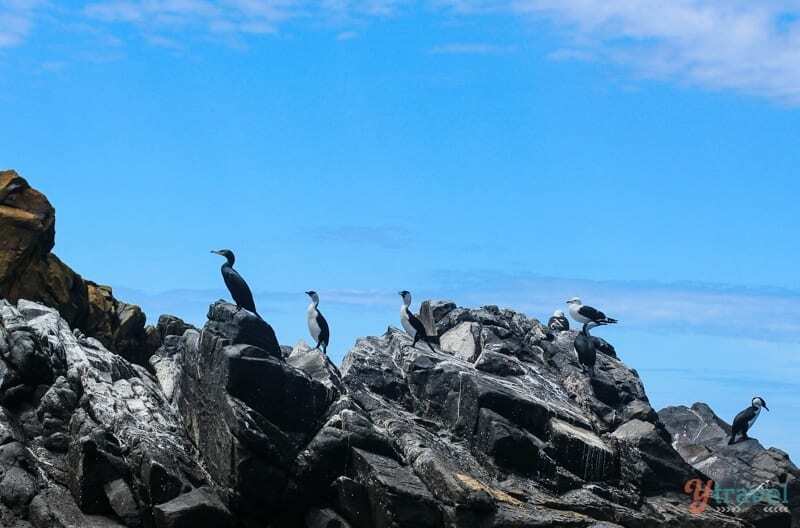 It’s also home to fur seals, fairy penguins, an abundance of bird life and if you time your trip, the opportunity to see migrating whales. We didn’t get to see whales on our cruise, but we did meet some furry seals and Black-faced Cormorants. 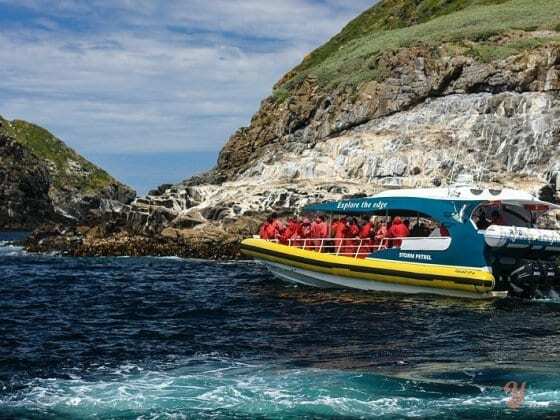 If you’re visiting Hobart, or on an extended road trip around Tasmania, I highly recommend the Bruny Island cruise experience. The whole package was incredible from the scenery, to the wildlife spotting, and I can’t speak highly enough of how professional and infectious the staff were. It made for a truly memorable family day out. And whilst your on Bruny Island, consider indulging in some local fresh oysters, homemade cheese and fudge, and some premium wines at the southern most vineyard in Australia. 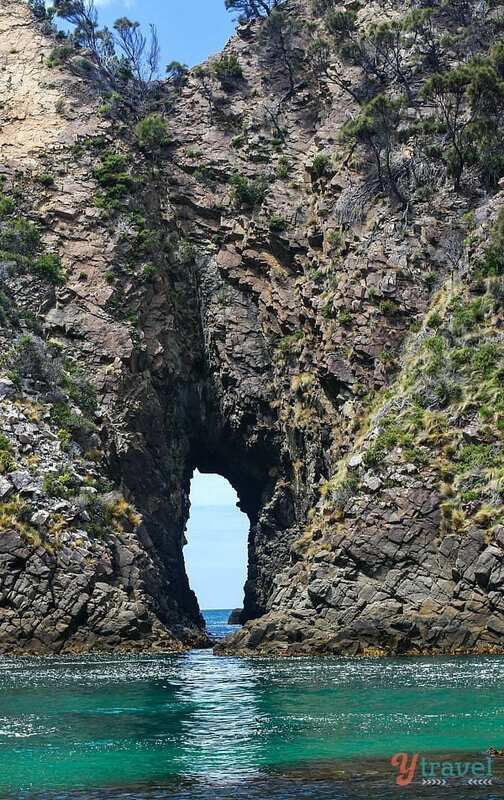 Access to Bruny Island is by vehicle ferry which departs from Kettering, 40 minutes drive south of Hobart. We did the 3 hour cruise but there is also a full day tour. You guys are really making me want to go to Tassie! 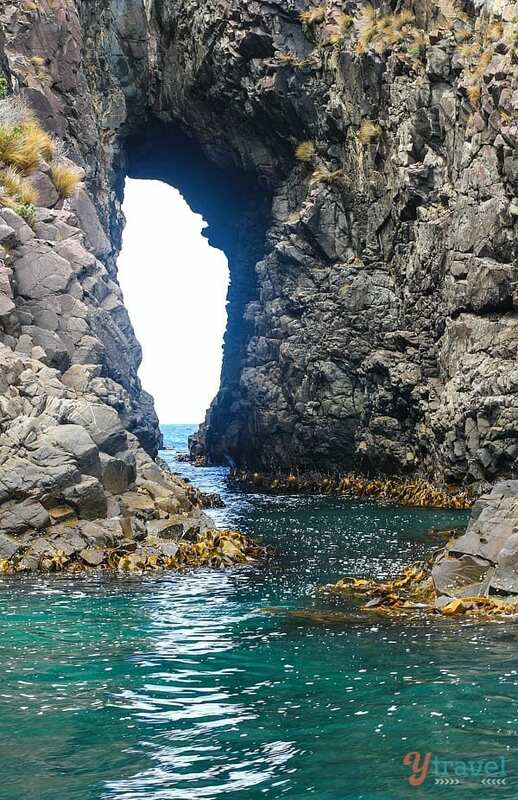 Have heard previously how beautiful Bruny Islands is and you pictures really show this off. Definitely recommend it Jen. Bruny Island was a highlight of our visit. And Tassie is great. I didn’t realise quite how spectacular the coastline is so close to Hobart and I now really want to go on that cruise, or maybe sea kayaking. 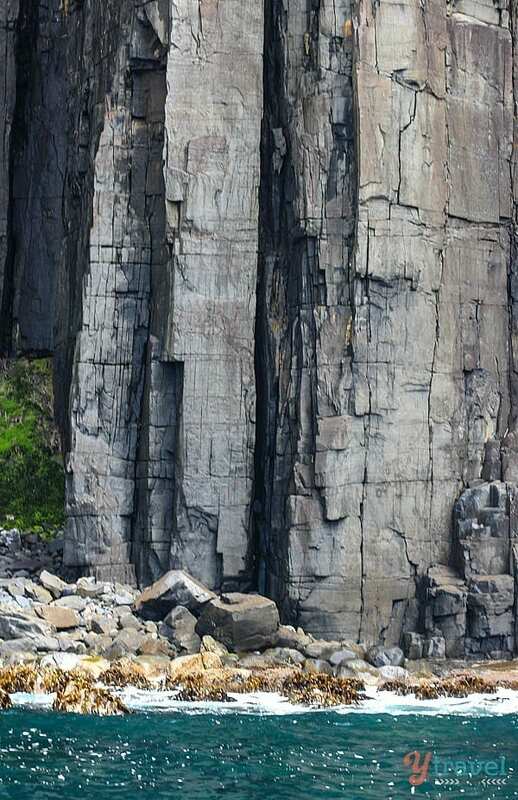 And those cliffs look like they’d be great for rock climbing! Yeah, it’s pretty spectacular Bonny. Was blown away by the ruggedness and beauty. Would love to do it again. Yep, a top day trip Renuka that shouldn’t be missed. Absolutely stunning! AND homemade cheese, fudge, and premium wines ? SOLD. I’m in Thailand, I don’t get these things often. I can’t wait to visit Australia. Hoping by the end of this year! Yes Nina, Bruny Island packs a punch! Hey Timothy, it certainly didn’t drag on. Time fly’s when you’re having fun as they say! Looks amazing! Tasmania is one of those places that I would love to check out when I get to Australia from travelling. 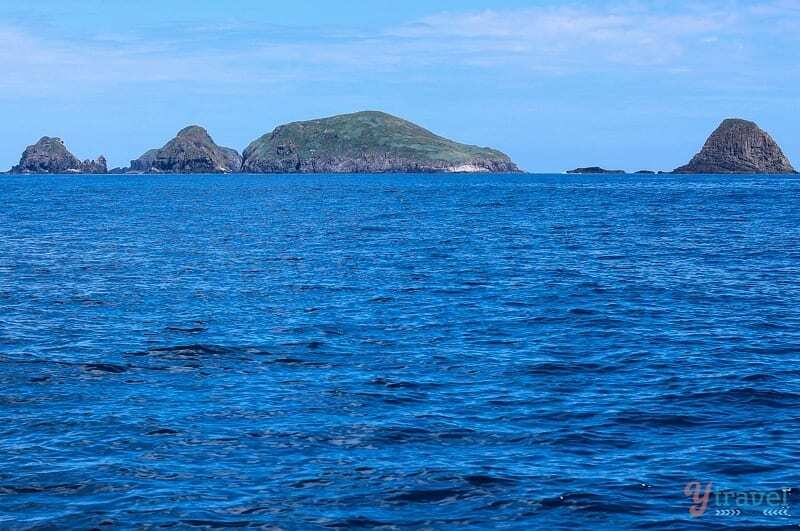 The scenery of the island is simply amazing. It looks very much like a place which would good to settle down in. 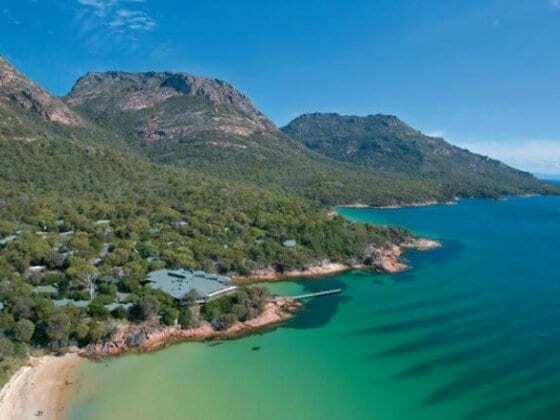 Yes many people say they could live in Tassie, if the weather was a bit warmer. It has everything else! One day I must get back to Tassie – I really didn’t see enough when I was there many years ago. Tassie is just one of my fav places in the whole world – I’ve never gone offshore like this though. People always talk about the Great Ocean Road but I think the TAS coastline is just as amazing. Are you guys going to the Bay of Fires? Hi, we did this awesome tour in 2010 (photographer and journalist) while on holidays and enjoyed every minute of it. You’ve captured our elation and excitement well. We’d rate it as the best fun you can have while rugged up safe against the elements. Hi Trina, luckily we had a super sunny day. Was a bit windy but not too cold. 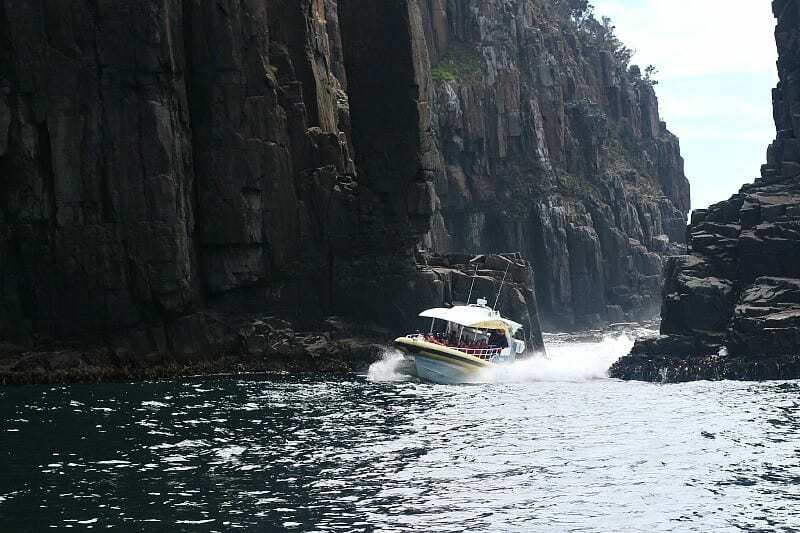 Glad you’ve experienced Bruny Island! Wonderful photos! Makes me want to go! 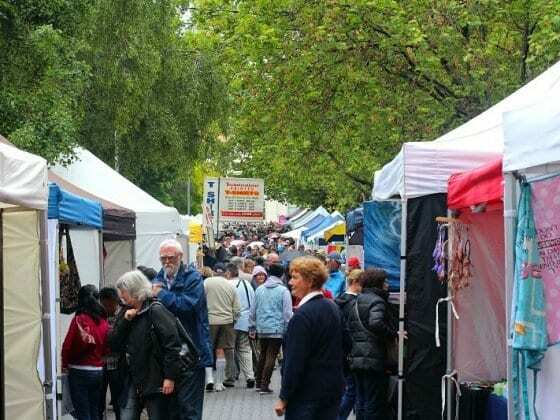 What is a good season to visit? Great pictures. I have liked all photos that you have post in this post. I have never seen mountains rocks near river so clearly and closely. 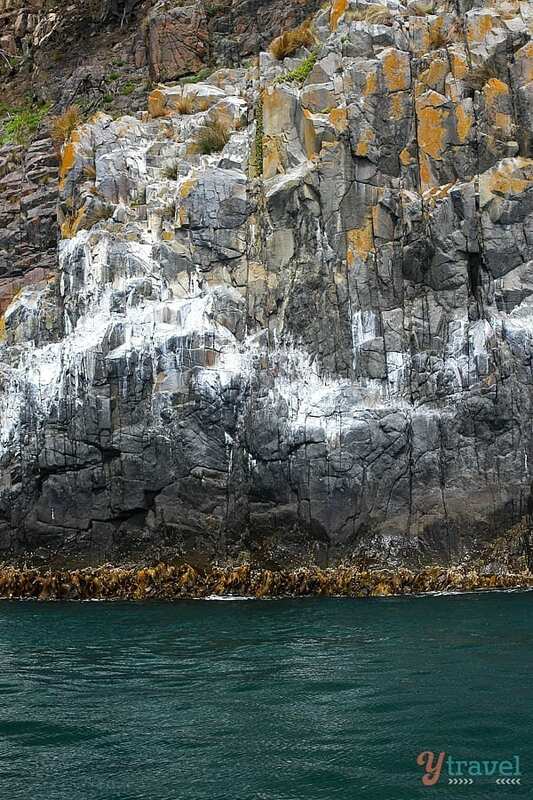 You have captured the real beauty of nature in your camera while travelling in Bruny island cruise in Australia. I am hundred percent sure that you have enjoy your journey with full of adventure. You have feeled the real beauty of the nature and rivers what they have in them that we don’t know. Thanks for sharing this post with us….. I have been thinking on going to Tasmania ever since and its on my bucket list. Reading your post makes me want to pack my bags and leave, like right now. What is the best season to go there? i want to pack my bags right now. Beautiful photos and article. 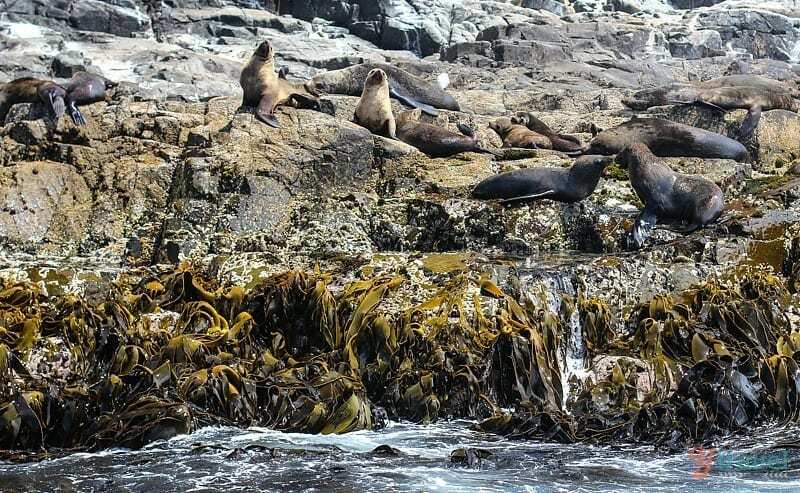 Bruny Island looks wild and free and then comes the food! Sigh …. It’s a great destination Kate. Hope you get there!